This exemplary Carhartt chore coat described as dating to the 1920's was recently offered for sale by the fine folks at IN VINTAGE WE TRUST and even priced at just under five big ones, this beauty didn't last long. 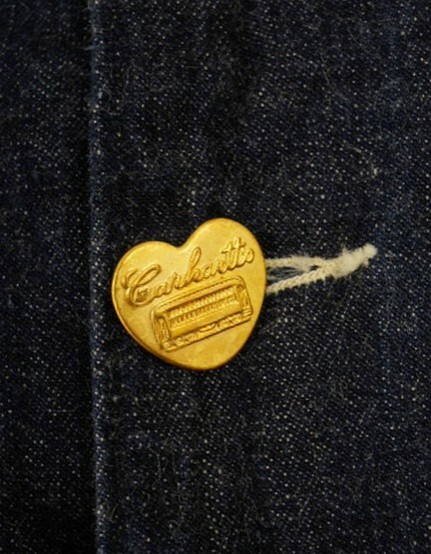 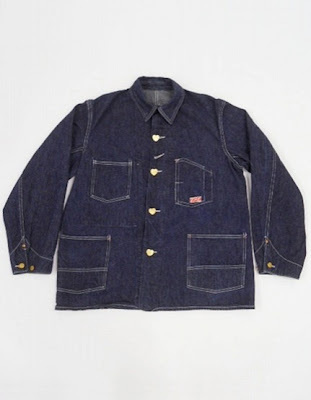 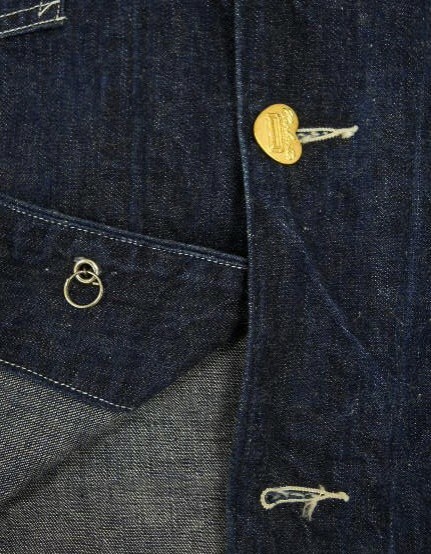 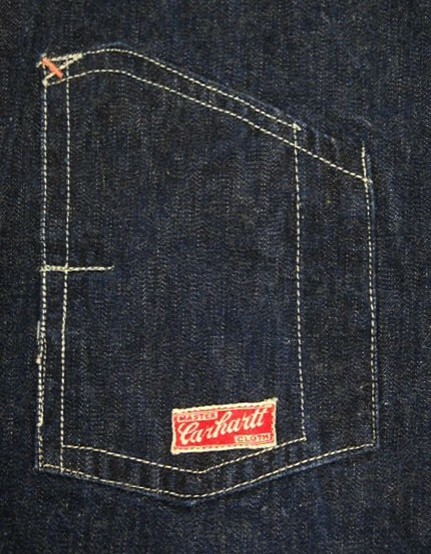 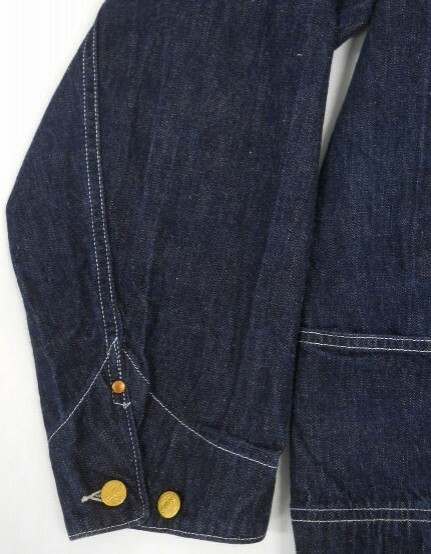 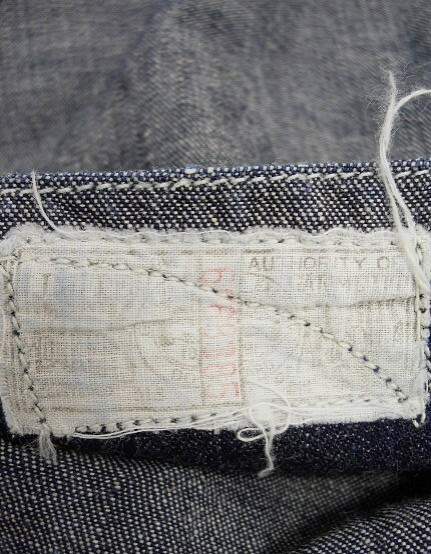 Some of the killer details seen in the photos below include angular watch pocket with primitive single stitching and rarely seen early Carhartt Master Cloth label, heart shaped "change" or removable buttons with patent date of 1918, sleeve cuff rivet reinforcement and early United Garment Workers of America union label. While many of the same type of coats from the same time period featured chin strap collar closures, photos and description of this coat did not reference this feature which was also know as dust proof collar or military style adjustable collar. 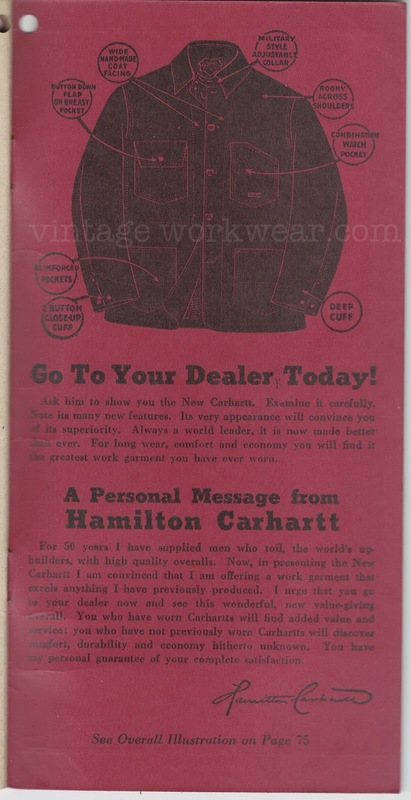 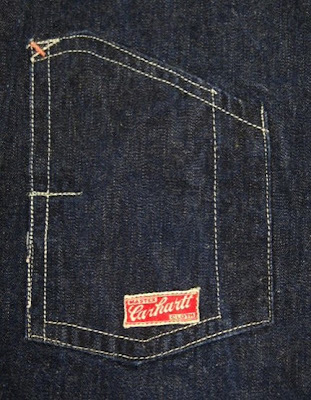 A similar coat is seen inside the Carhartt Universal Time Book from 1935.